With a Side of Chocolate: So... Are you guys planning on buying this? So... Are you guys planning on buying this? Weekends need to work on being relaxing. Or maybe I need to work on not being such an old woman. Either way, I'm still in my PJ's, glasses and watching The Mindy Project on Hulu on this fine Monday morning. Friday was mostly spent at the funeral and with Travis' friends and family. We did have some of the boys' college and high school friends over so it was just his girlfriend and I plus about 7 drunk tipsy boys. It was an interesting evening to say the least. But, I did drink this and everyone should go get it right now. It's delicious. Saturday, we slept in a little bit and then headed out to go furniture shopping. That. Was. An. Adventure. I understand commissions since I work on them, too. But there's a line and most of them crossed it. We walk into the store, and all the salespeople are hovering around the front door and one approaches us. 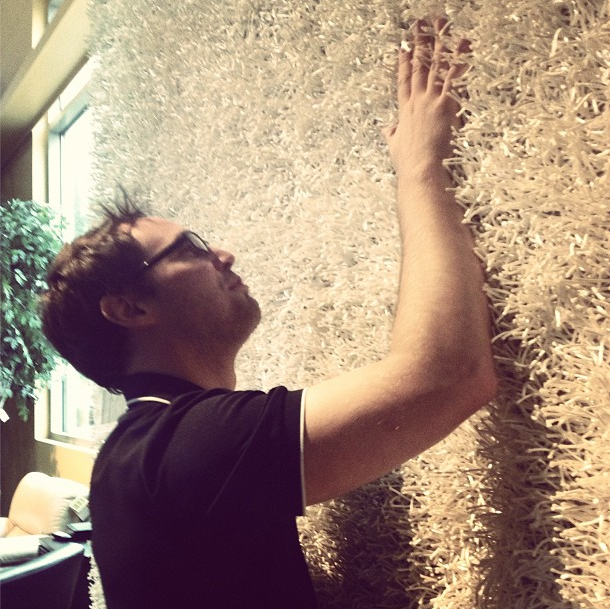 I explain that we are just browsing for ideas and not sure what we need yet. He says no problem and leaves us alone while we walk around the store. As we're leaving, he gives us his card in case we come back. The woman approaches, and I tell her the same thing I told the first salesperson. She introduces herself and asks for ours and tells us where we can find everything in the store and to let her know if we need anything. The second she sees that we may possibly be interested in a certain couch, she pounces. Sits down and starts going on and on about it and all the different options and how much it would cost blahblahblah. We kept trying to make a break for it, and it just wasn't happening. She also made it pretty clear she didn't love our choice. As we moved around the store, she kept randomly popping up and going on her spiel again. After finally escaping that lady, we headed to the next store where we were also pounced on at the door. Again, I explained we're looking for ideas. The very first couch we stop at and the guy from the front door is behind me telling us about a sale going on "this weekend only" and that "it's a great time to buy". We said thanks and tried to move on. Next place we stop, he's there. But he's not even doing a good job of building report and trying to make us like him like the last person. After awkwardly standing across a table from us while we tried to move on, he straight up just asks "so do you guys think you're going to be buying today?" Nope. And that's when we literally dodged him behind a wall and left the store. Hell. No. We hadn't planned to stop at this store, but we ended up doing it anyway and thought we had landed a solid idea for the kitchen table. The woman told us we could custom make a table and it would be about $600. That should have just sent up a signal but we hadn't looked at prices in this store yet, so we went with it. The woman put a table together for us and then she priced it for us. She comes back and a table and 6 chairs was going to be almost $3000..... yes, that is the exact same thing as $600. After the furniture stores we hit up Ikea. On a Saturday. When it was raining. Because we're idiots. After that, we stopped at one last store where we found a rug we really, really love for the living room. It's not the one above, I promise!! Once we were finally done with all the grown up furniture shopping, we went straight to my couch and watched a Toy Story marathon on ABCFamily and ate brownies. Omg that Blue Moon looks delicious! I'm guna have Brian pick some up on his way home from work tonight! 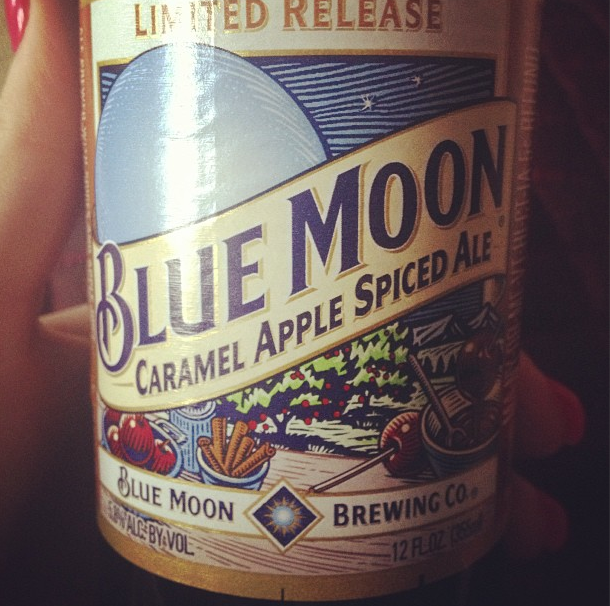 Caramel apple spiced Blue Moon? Sign me up! I can't believe the salespeople in the furniture stores you visited were so pushy! I live in Virginia and here you can wander around pretty happily :) Quick grammar note, it's "build a rapport" if you're talking about forming a relationship with someone. Oh my gosh, I MUST find that beer ASAP! Yuck, pushy sales people are crazyyyy sometimes. I just want to ask them, "Do you have ZERO self awareness?!" lol!! Excited that you DID find stuff you liked in a good store though!! it's so crazy how the salespeople pounce on you and don't realize that's a horrible tactic. i never want to buy something from someone who is overly pressuring me. ahh. Sometimes you need a nap. HIgh Five! It's finally Friday! Well this is just no fun. Turns out, he likes me. Mondays are for sleeping in! I may have a crazy bone.